Herjavec Group has a proven Service Delivery Framework and offers support from certified project managers to ensure the highest probability of timely engagement success while minimizing risk. All projects are driven by HG Service Delivery to align with the customer’s time, cost and quality requirements. We recognize that different service engagement require more flexible delivery models and support multiple service delivery options. Herjavec Group’s Service Delivery Team uses a project management process developed from the PMI best practices. 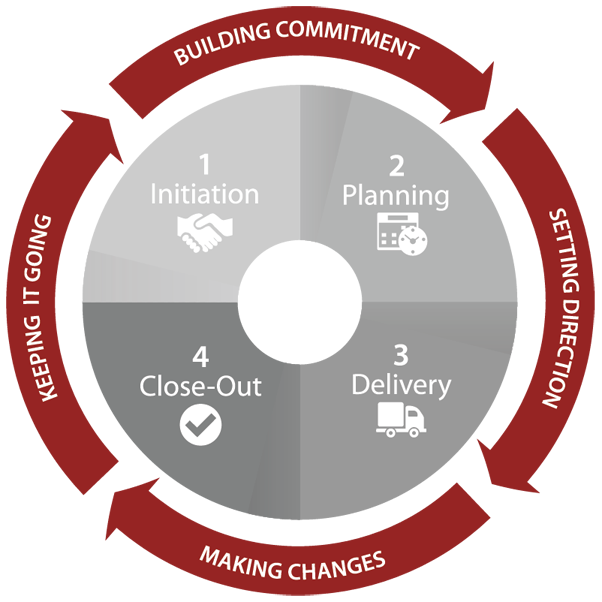 The majority of HG delivery projects involve the support of a Certified Service Delivery Project Manager from planning to close out. Once you have signed off on a Statement of Work, our Service Delivery team will be assigned to review the project scope and assign technical and Project Management resources accordingly. The HG Service Delivery lead will engage with all project resources to develop an integrated project plan, while balancing scope, control and risks to develop the overall schedule. Following a project kick off meeting, the service delivery team executes all project related activities. The Service Delivery lead will monitor and control the project communication ensuring that your team is satisfied with all deliverables. The Service Delivery lead will document project results and formalize your acceptance of the outcomes. Once the project is transitioned from implementation to standard operations, we will seek your formal feedback and complete all close out processes. Herjavec Group has a flexible Service Delivery model and will assign a Service Delivery Administrator or Certified Project Manager pending the scope and scale of the engagement. Complex engagements with multiple, large projects may also have a Program Manager assigned. We also support Managed Team, Strategic Consulting and Projectized Service Models as required to best meet your project and business needs.